MANILA, Philippines – On Tuesday, November 8, the Supreme Court (SC) voted 9-5 to allow the burial of Ferdinand Marcos at the Libingan ng mga Bayani (LNMB), rejecting petitions that sought to stop the interment of the late dictator at the final resting place of Filipino soldiers, war veterans, and citizens considered as heroes and martyrs. In the majority decision, the SC said President Rodrigo Duterte, who had issued the order for the late dictator’s burial at the cemetery, acted within the bounds of law and jurisprudence. The Court said Duterte was exercising his mandate under Article VII, section 17 of the 1987 Constitution to ensure the faithful execution of laws, and that there is no law prohibiting Marcos’ burial at the LNMB. 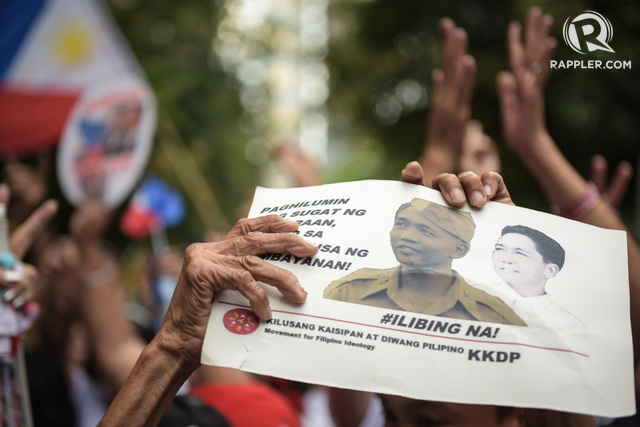 While petitioners raise Marcos’ human rights violations and plunder of government coffers during the Martial Law years, the Court said that Marcos’ burial at the LNMB would not confer on him the status of a hero. “Despite its name, which is actually a misnomer, the purpose of the LNMB, both from legal and historical perspectives, has neither been to confer to the people buried there the title of “hero” nor to require that only those interred therein should be treated as a ‘hero,'” the SC said. “For his alleged human rights abuses and corrupt practices, we may disregard Marcos as a President and Commander-in-Chief, but we cannot deny him the right to be acknowledged based on the other positions he held or the awards he received. In this sense, we agree with the proposition that Marcos should be viewed and judged in his totality as a person. While he was not all good, he was not pure evil either. Certainly, just a human who erred like us,” the SC said. The High Court also rejected the argument that Duterte is bound by the 1992 agreement between the Marcos family and former president Fidel Ramos to have the late dictator’s remains interred in Ilocos Norte. The majority of the magistrates also dismissed the petitioners’ claim that the President’s determination for the burial was spurred by a debt of gratitude to the Marcoses. The SC said petitioners failed to prove this, and that presumption of regularity in the performance of official duty prevails over petitioners’ allegation. Aside from these substantive issues, the SC also said the petitions should be dismissed on procedural grounds. The SC agreed that Duterte’s decision to have the remains of Marcos interred at the LNMB involves a political question that is not a justiciable controversy. The High Court also said the petitioners failed to show that they have suffered or will suffer direct and personal injury as a result of Marcos’ burial at the heroes’ cemetery. 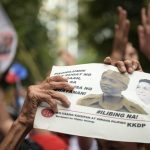 They likewise violated the doctrines of exhaustion of administrative remedies and hierarchy of courts; the SC said the petitioners should have sought reconsideration of the order for Marcos’ burial with the defense department, or to file the petitions first with the proper regional trial court.